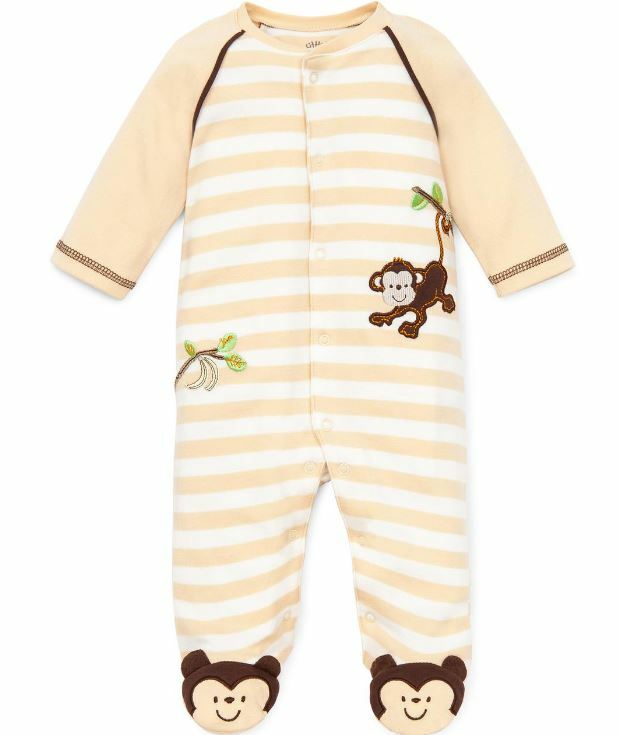 Baby boy monkey stripe footed coverall with front snap closure Raglan sleeve and monkey art on chest and foot. Full inseam snap closure allows for easy changing. 100% cotton machine washable.